After last week’s reports of the Cleveland Cavaliers working to cement trade deals that would’ve sent either Jimmy Butler or Paul George to Cleveland proved to be nothing more than wishful thinking, many fans were left wondering what could have gone wrong. Thanks to ESPN radio’s “Mason and Ireland,” it seems we may have an answer. 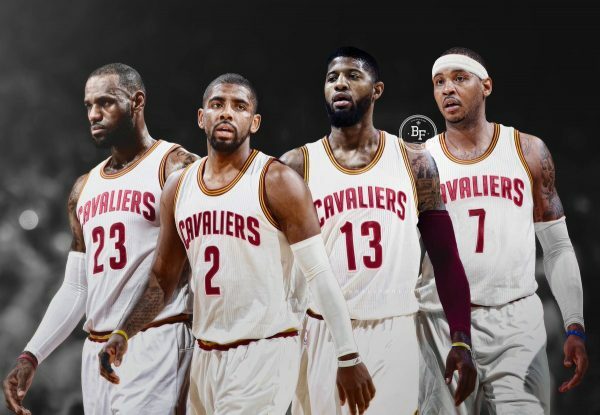 In a recent episode, the Los Angeles-based sports radio show hosts discussed a rumor that a blockbuster five-team trade that would have shipped both George and Carmelo Anthony to the Cavaliers fell through because no one wanted to trade for All-Star power forward Kevin Love. Ireland and guest host Ramona Shelburne discussed the history of Love’s health and Ireland also asked her if she believes this trade and other potential trades that would ship Love out of Cleveland are dead. “I kind of do, I kind of think Cleveland is…I think if they are able to swing something they’re probably swinging it, like a much smaller deal,” she replied. If this trade had gone down, a new level of super team would’ve existed in Cleveland. Unfortunately, however, it looks like the potential for adding star power to the Cavs is beginning to slip away.